May 2018 Book Club - Where'd You go Bernadette? Discussion in 'Reading Pad' started by Karen, Apr 9, 2018. The votes are in and we have our next batch of books for 2018! Woo-hoo! Like I've been doing the last couple of times, I am posting the next few months (May-August) all at once, so we can all get these books on hold at our libraries in time. 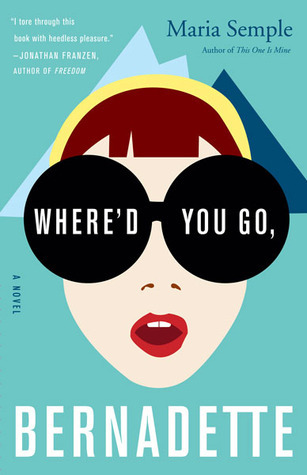 The book we will be reading for May 2018 is Where'd You go Bernadette? by Maria Semple. Please label spoilers or even type them in white like I just did right here (highlight that blank space) so that a person has to highlight it to read it. Bought it. I’ll start it once I finish my IRL book club selection, Deep Down Dark. Thanks for your work again this quarter, @Karen!! 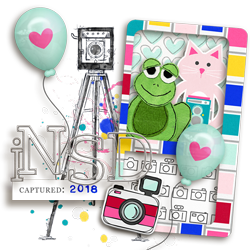 Karen and Cherylndesigns like this. Karen and umyesh like this. I read this one a couple years ago and completely agree with your assessment! bellbird and Karen like this. I listened to this on audio so I suspect the audio performer contributed to me disliking all the characters for at least the first half of the book (she made Bee sound like she was under 10 rather than a teenager). But I really enjoyed the ending and found that I wasn't disappointed. For me not quite up to the hype but still well worth the read. busywoman139 and bellbird like this. Got this from the library today! I started another one first so I won't be reading it yet but hopefully soon! umyesh and michelepixels like this. my copy finally showed up! Glad the month isn't over quite yet! though it's busy enough it almost could be!! I read this back in 2013 and enjoyed it except for Bernadette who I hoped was Gone gone gone. The details about Seattle are really good though. Pretty spot on. londoncuppa and Karen like this. I read this back in 2013 and enjoyed it except for Bernadette who I hoped was Gone gone gone. I’m with you. The book was just ok to me. It was ruined by a completely selfish, egomaniacal protagonist (Bernadette). I won’t give any spoilers here, suffice to say I agree 100% with the gone, gone, gone sentiment. My least favorite read so far. I’m starting June’s book today. @londoncuppa Poor Bernadette...no love lost here! My copy magically -- I mean digitally -- appeared in my library account last night. I'll start reading it soon! started today - gotta say, not loving the fact that it's all written in letter form so far?! LOL Weird to adjust to. I just started today too! I'm not sure whether I like it either. But I haven't gotten very far. tinkerbell1112 and Karen like this.